In the Levitator's great post referenced below by Wulingren, he mentions one of Taiwan's most important gangsters, the White Wolf, who was involved in the Henry Liu murder, and who now serves the pro-unification side. One key aspect of Taiwan's politics is that the crime gangs are pro-KMT, including the Bamboo Union, the island's largest gang. White Wolf Zhang says the clock can't be turned back. "Many brothers are now in the stock, finance and construction industries," says the honorary godfather, who holds five bachelor's degrees, three from American universities and two earned while he served a 10-year sentence at the U.S. federal penitentiary at Fort Leavenworth, Kansas, for conspiring to buy heroin. "Many are now doing legitimate business. Where do you want them to go back to? To prostitution, to gambling and to numbers rackets?" The United Bamboo was founded 40 years ago by a handful of teen-aged sons of senior officers in Chiang Kai-shek's KMT army who had encamped in Taiwan rather than be crushed by Mao Zedong's advancing Communists. Disenchanted by the humiliation of their fathers, the young rebels joined forces to fight other gangs along Bamboo Forest Road on the outskirts of Taipei. During martial law imposed by President Chiang Kai-shek, and continued by his son Chiang Ching-kuo, the United Bamboo faced little official trouble as it branched into gambling dens and loan-sharking. A one-time leader, Chen Chi-li (aka Dry Duck), socialized with the sons of Chiang Ching-kuo, and earned the triad international infamy when he assassinated Taiwanese dissident Henry Liu in San Francisco in 1984. Underworld sources say Chen was trying to curry favor with the KMT and Taiwan's intelligence services and was not on United Bamboo business. As the United Bamboo moved into construction projects in the 1990s, the sight of its foot-soldiers in their signature outfit of black suit, white shirt, black tie and sunglasses was enough to scare off many legitimate builders. At its peak in the early 1980s, United Bamboo had up to 40,000 members in Taiwan, but intermittent police crackdowns have cut the numbers to 10,000. Overseas cells operate in the U.S., Canada, Australia and Europe, and throughout Asia. Unlike Japan's yakuza or Italy's Mafia, the United Bamboo does not have a strict rank-and-file. Twenty-four tongs are each led by a da ge or "big brother," with membership comprising gangland enforcers and individual businessmen. "In Taiwan, brothers may be businessmen," says Zhang. "Businessmen may be brothers." Many went to the same schools, learned from the same martial arts master, and ended up marrying each other's sisters. Mutual benefits and obligations underpin these relationships. Brothers and businessmen may or may not do business with each other but they turn to each other in times of crisis. All pay homage to Zhang, who was "recognized" by Taiwan's triads as their "opinion leader" in 1995. In fact, he is held in such esteem that businessmen ask him to help settle disputes. To show their respect, many restaurants in Taichung in central Taiwan and in Taipei serve whiskies named "Dances with Wolves" and "Wolf Legend." With his Italian silk-cut suits and ties, Zhang, 48, oozes sophisticated charm, switching between Chinese and English with an easy fluency. Only his business card suggests anything out of the ordinary: The silhouette of a wolf accompanies the legend "Wolf Zhang, president." President not of United Bamboo, that is, but of the Taiwan-based Strategy Group, an investment company with many ventures, including one in construction. Before he left Taiwan, White Wolf was a popular figure on TV talk shows and in newspapers and magazines, acting as an advocate for all of Taiwan's secret societies. Now, under the Anti-Hooligan Law passed last December, anyone who is a member of a so-called hai dao bang pai (black society) can be arrested. "You shouldn't say that just because I'm a brother, I'm a criminal," says Zhang. "If I didn't commit a crime, I'm not a criminal." Secret societies have been a tradition in Chinese culture for thousands of years, Zhang says, and Taiwan will never succeed in wiping them out. Neighborhoods are kept clean of petty crime, he continues, with violence meted out selectively, to deserving targets and not to ordinary members of the public. 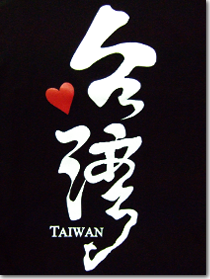 Nor will he accept that Taiwan's triads can be compared to the Mafia as it operates in the U.S. or Italy. For a start, they do not deal in drugs, the godfather says, insisting that he was innocent of the heroin charges that landed him in jail. Zhang's associates say he was targeted by Taiwanese intelligence agents, aided by the U.S. Federal Bureau of Investigation, for forcing the KMT to admit its role in the slaying of Henry Liu. "Yes, secret societies have been a part of Chinese history," says Taiwan's popular Minister of State Ma Ying-jeou. "They have their own justice. But that type of justice is part of an agricultural society. We are an industrial, commercial society today. You can't take justice into your own hands. The days of Robin Hood are over." Taiwan's secret societies, according to Zhang, now are being made scapegoats by President Lee, though he had relied on them to help him to power in 1987 on Chiang Ching-kuo's death. Chao Yung-mau, a professor of political science at the National Taiwan University, agrees that Lee initially was indebted to the triads, but says he needed such allies when he inherited a party still dominated by the sons of mainlanders. Lee, an indigenous Taiwanese, like 85 percent of the population of 21 million, swept away much of the Chiangs' repressive state apparatus and purged many family loyalists as part of a reform process that led to multi-party democracy. However, the KMT was more practiced in avoiding or rigging elections than it was in commanding popular support. 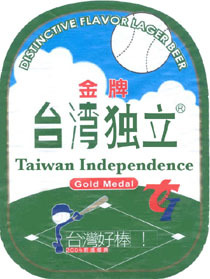 To stave off a mounting challenge from the newly formed Democratic Progressive Party, the KMT enlisted bosses of indigenous Taiwanese triads (known as ge tous) who through bribery and intimidation could deliver the votes at precinct level. In exchange for the allegiance of the secret societies, underworld sources say, Lee allowed them to get rich off public-works projects and land rezoning -- with much of the money recycled back to corrupt officials and politicians. But the United Bamboo itself started to become a political force, according to Zhang, rallying opposition to Lee's supposed backsliding on the once-hallowed goal of unification with the mainland. The attitude of KMT politicians was, he claims: "You can help me get elected. But if you run for elections, I don't like that." Until the government's anti-triad campaign, Zhang himself had been urged by his followers to run for Taiwan's legislature. Joe Motheral, vice president of Parsons Overseas Co., a U.S.-based engineering consultancy with annual revenue worldwide of $1.5 billion, says corruption was much less of a problem when he arrived in Taiwan 16 years ago. "I thought the business environment was good then," says Motheral, who was involved in building the North-South Freeway, Taiwan's biggest road project of the time. Although he lauds Taiwan's shift to democracy, he says ruefully: "Decision-making was probably more clear with an authoritarian government." In 1984 the Taiwan government had writer Henry Liu murdered in his California home after he published an unauthorized bio of Chiang Ching-kuo, the dictator and son of Chiang Kai-shek. Chen Chi-li, the Bamboo Union gangster who had run the operation for the KMT, made two copies of a tape implicating the government, and gave them to his triggermen. The purpose was simple: the pen is a long arm from the grave. He was terrified that the KMT would have him killed to keep him silent. It was White Wolf, Chang An-lo, who handled the negotiations, according to David Kaplan's Fires of the Dragon (pp444-8). Chang contacted the FBI after his attempts to use the tapes as leverage in negotiations with General Wang Ching-hsu, head of the Taiwan National Security Bureau, fell through. White Wolf himself passed the tapes to investigator Mike Scott of the FBI in a car in Monterey Park, California, and it was he who confirmed the ID of Chen Chi-li as the voice on the tape. "On March 1, White Wolf responded to Helen's compassion with a blistering and unexpected attack on Alex Chiang. Supporters of the Liu family had called a public forum for that night at Monterey Park's Lincoln Plaza Hotel. On a panel sat Helen and several longtime critics of the KMT. Suddenly, White Wolf barged in, demanding the right to speak. As he was introduced, the Bamboo leader approached Helen at the microphone, shook her hand, and apologized for the killing. Alex Chiang immediately issued a press release in Taipei denying all involvement and any knowledge of Chen Chi-li. White Wolf and other Bamboo Union members were incensed, as they had seen Chen and Chiang together on numerous occasions. Lin Cheng-chieh, the thug who beat up a man in broad daylight in front of a TV audience, is now the business associate of White Wolf in China. Small world, with some interesting interconnections, eh? Thanks for that. Fascinating and terrible stuff. No wonder my first reaction when I saw Lin act so violently on television was: thug. He is. Its amazing how much and how fast Taiwan has changed, and yet some of the same figures who once caused the violence are still walking free. Yes. It makes me want to scream sometimes! Practically all of the leadership of the KMT should be in jail for crimes against humanity. More info from my ex-liumang husband. Chang's comment that the gangs don't sell drugs was true in the early days of the KMT on Taiwan, not now. There is no blanket prohibition against it- some gangster code. Early on the gangs could be categorized strictly as waishengren or benshengren, but now there is more mixing if they were born on Taiwan. It all revolves around money- gangsters from the different groups will cooperate if there is money to be made. Gangsters will do the job if there is money to be made- ideology doesn't play into it. Generally speaking we can still talk of waishengren gangs and benshengren gangs, though. He said the waishengren gangs are bigger, better organized, and do business on a large scale. The benshengren gangs are more small scale- like collecting protection money. As for Chang's claim that the gangs keep peace in their neighborhoods- my husband didn't do that. He intimidated whoever he and his xiongdis wanted to. Its like what you here about urban America- if someone looked at them funny, they would want to beat them up. This info is not the most up-to-date because my husband hasn't been an active gang member for some time, but he keeps up with his friends in Taiwan who are gang members. Maybe now the benshengren gangs are bigger. Rank nonsense, it should be noted. Violence from gangsters is meted out to anyone, sometimes for merely looking at them. The part about secret societies existing in Chinese culture is not nonsense though, even if his interpretation of it is. See Barend ter Haar's excellent book on triads, "The Ritual and Mythology of the Chinese Triads: Creating an Identity," for instance. You're kidding! I just saw a restaurant the other day here named, "Dances with Wolves."